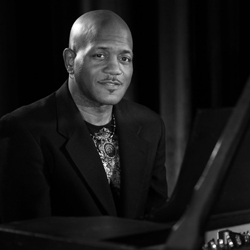 Joseph Wooten is a keyboard player, singer, songwriter, author and philanthropist. He has been a keyboard player and vocalist for The Steve Miller Band, one of America’s premier classic rock bands, since 1993. Joseph also wrote a book: It All Matters: What I Believe, Words I Live By. He has two solo recordings, Soul of Freedom and Hands of Soul as well as production credits on over 35 albums. Joseph strongly believes in the worth of every individual and has worked to raise awareness of homelessness in America.